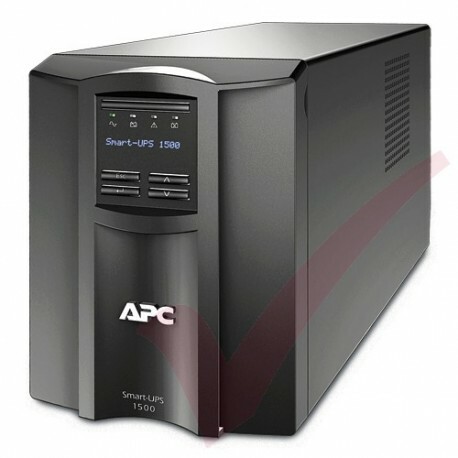 Main Specifications - Product Description APC Smart-UPS 1500 LCD - UPS - 1 kW - 1500 VA. Device Type UPS - external. Dimensions (WxDxH) 17.1 cm x 43.9 cm x 21.9 cm. Weight 24.1 kg. 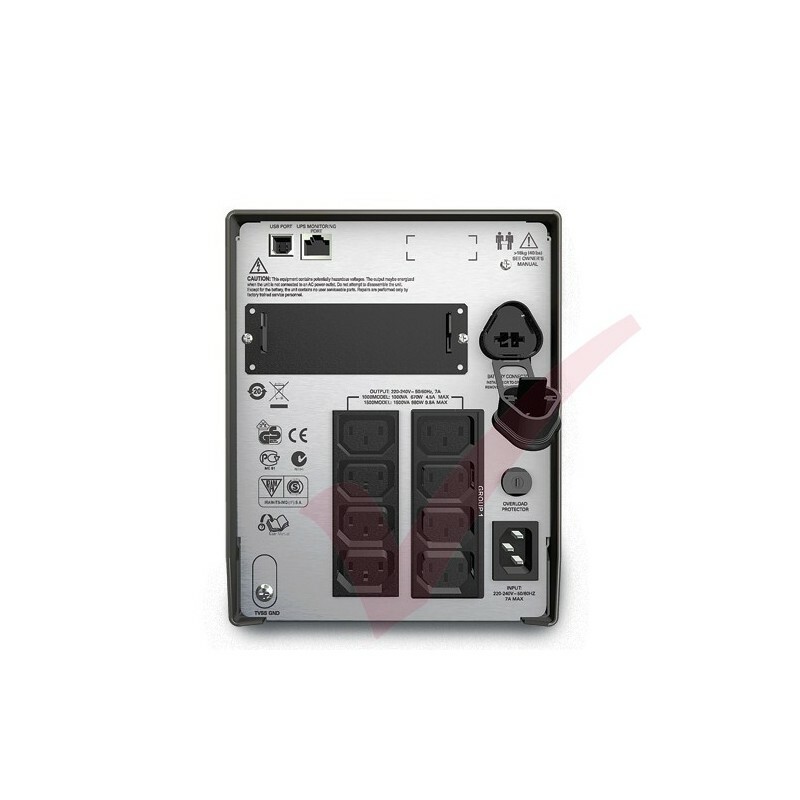 Input Voltage AC 230 V. Output Voltage AC 220/230/240 V 5% ( 47 - 53 / 57-63 Hz ). Power Capacity 1 kW / 1500 VA. Output Connector(s) 8 x power IEC 320 EN 60320 C13. Battery Lead Acid. Batteries Qty 1. Run Time (Up To) 6.7 min at full load. Networking RS-232,USB. Manufacturer Warranty 3 years warranty. Provides clear and accurate information with the ability to configure the UPS locally with easy to use navigation keys. Single outlet group that may be controlled separately from the UPS for discrete reboot of hung devices,sequenced on / off and non-critical load shedding. 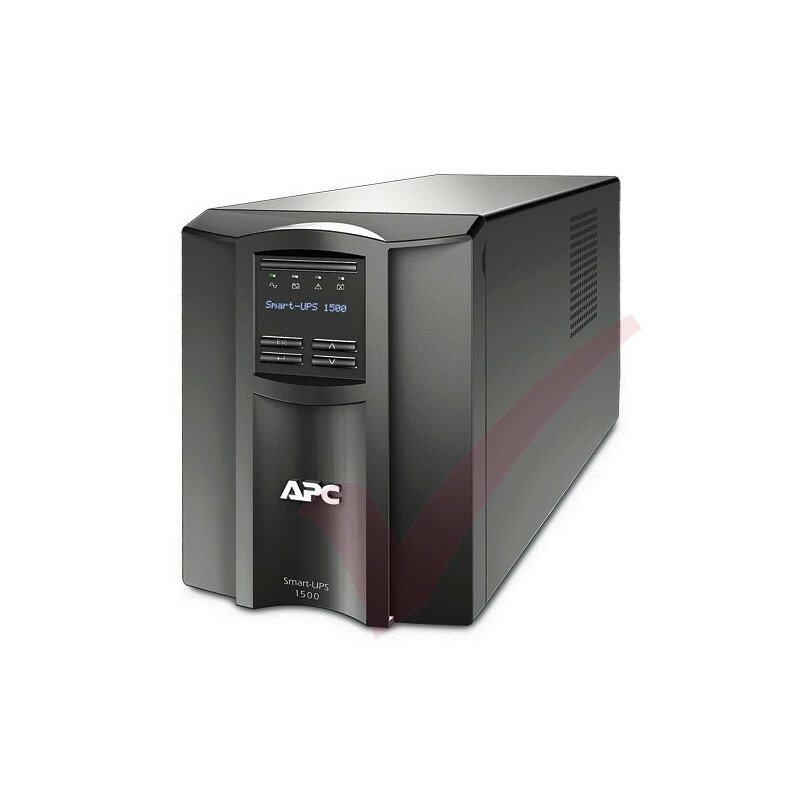 Simulates utility power to provide a high degree of compatibility for active PFC (power factor corrected) servers and sensitive electronics.